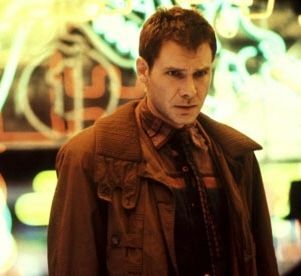 Blade Runner celebrated it’s 30th anniversary at Comic-Con this year, and I was on hand during the celebratory panel to take notes of all that occurred. 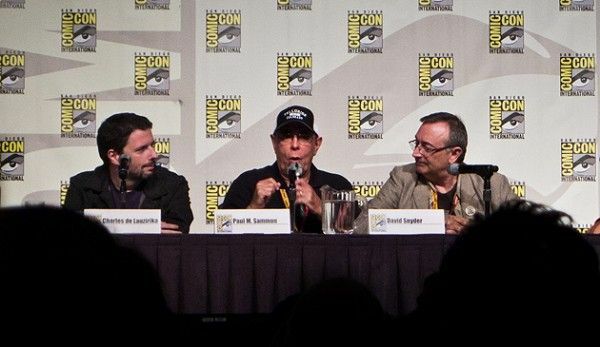 Art director David Snyder, journalist Paul M. Sammon (Future Noir: The Making of Blade Runner), and DVD/Blu-ray producer Charles Lauzirika made up the very informal panel that basically consisted of them moderating themselves and fielding a slew of questions. The reason, according to Sammon, was because at the last panel the year before they simply had too many people on the panel and it was a slog to get the banter and information beyond the simple answers. During the panel they talked about filming at the Bradbury Building, the replicant issue, their preferred version of the film, how they shot at night because the set wasn’t complete, where the props went, and how much deleted footage was kept off of the special features. So hit the jump for all of that and more. 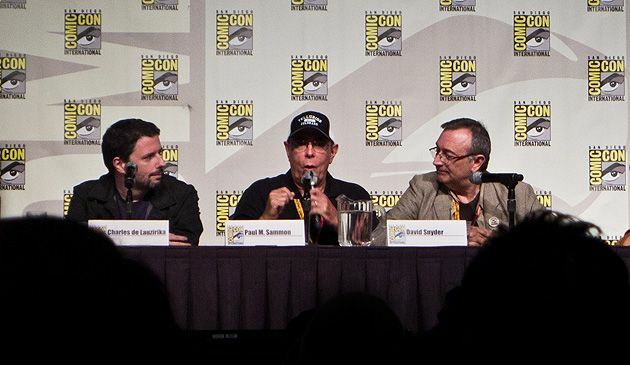 Snyder started on the film in the fall of 1980. The production budget scared away the origanl financiers, Filmways. They shopped it while the producer Michael Deeley kept them able to work on the art design. 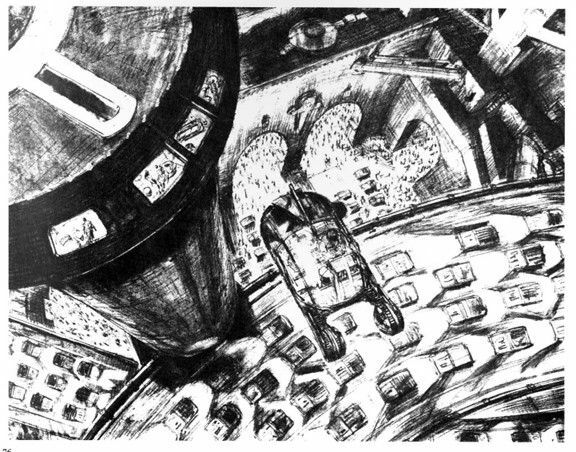 All shot at night because there wasn’t enough set to make up the city. Even with the miniatures. Lauzirika started as an intern for Tony and Ridley Scott. He would have to read scripts and write coverage for them. DVD came out, and he was one of the first few that really loved the medium. 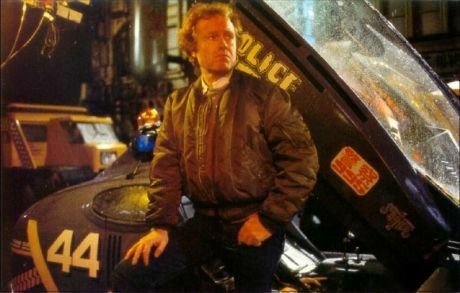 He prepped Ridley for the release of the Alien box set. Ridley asked him if he wanted to be involved in it and they’ve been working together since. Snyder was the art director, which he described as “second in command in the art department.” He was working on another film, Zoot Suit, and then an actor’s strike cut it. A TV show fell through. He took the job for the money, because he was a production designer and didn’t want to take a step down, but he was broke. Snyder was the on-set art director. Lawrence G. Paull ran the show, according to Snyder. Snyder’s ultimate job was to realize the design of the set. He had to go to Douglas Trumbull to see the miniatures every two weeks. They built them during production. Mark Stetson made all the miniatures from the same production design art. 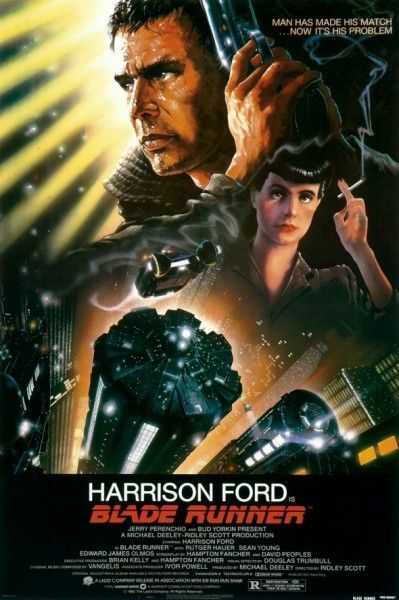 Blade Runner was an 85 day shoot, with 35 all night long according to Snyder. Snyder talked about stealing things late at night from the studio to get even more work done. “Would borrow them”. A lot of the things that looks like a lot of thought went into it, took about 35 minutes in reality, according to Snyder. Ridley would scrap things on the fly and ask Snyder to make things work. Sammon talks about how almost all of the production design was based on the famous Sid Meade paintings. However, the production team hadn’t photographed them and when he walked in they were simply leaning against a wall. He had to get them to take photos so he called a crew in New York to take photos of them in case the paintings got damaged. The China town district smelled like a China town. “It was very easy to get into the mindset of that dark dystopian future,” according to Snyder. Sammon asks Lauzirika about the 47 minutes of deleted scenes and opines that there must be more footage left over. Lauzirika says there really isn’t. He had narration. He had a lot of sequences without sound, etc. However, as far as full footage, there was very little left over that was even remotely usable. For the scenes they could utilize, the voice overs they had brought life to the silent scenes. So they went in and created this mini story with the scenes. Sebastian’s workshop with the automatons. There are some wide shots of the automatons. Some are actors and actresses, and some actually from the 19th century. Sammon talks about how he came into the workshop because they started filming and hardly anyone was on set. Just Ridley, really. “Walked in, and muttered, ‘This is all wrong.’” Then he started moving things around after sitting for 20 minutes. They started filming soon after. This is an example of how Ridley would make changes on the fly and it still worked out. Fan asks about which versions they really like. Sammon: Went through multiple feelings. He would watch the reels being cut. The work print is what really struck him. For many years that was a gritty version. But after seeing the narrated and all the others, the final cut is by far his favorite version. Lauzirika: Rank them. Final, Work, International, Theatrical, and then the Director’s Cut. “It really didn’t have the time or dedication,” according to Lauzirika. Ridley was rushed. 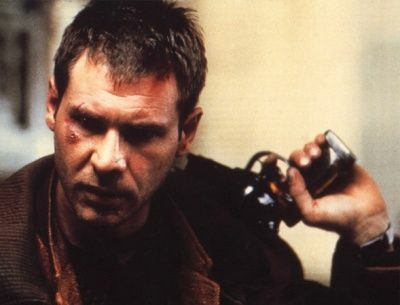 What it took to secure the Bradbury Building. Snyder talks about how at the time, it was in business every day. So they would have to come in right after closing to turn it into the set they wanted. They accomplished this by using a couple of 65 foot trailer trucks with debris like crumbled cork. The cork looked like dirt, but also would soak up the water, which made cleanup a lot easier. Then they would clean up around 5AM. Good portion of the Bradbury building was built in the WB lot. He still doesn’t know which is which in the film. They used these pylons to move the vehicles, frame by frame by frame, which was extremely arduous. Lauzirika: “I think it still would have been ahead of it’s time.” It just needed time like fine wine, he mentions. For Snyder: Asked about how they had to destroy all the miniatures and whether he had any souvenirs because the rest of the crew had a lot. Snyder mentions how he was asked if he could find some of the artwork for an Oscar piece. “Embassy had them just thrown in the corner by the Xerox machine.” So he took everything he could. Donated them to the Museum of the Moving Image in New York. He also mentions that Profiles in History has a lot of the props. Someone kept them and preserved them. Sammon: A lot of that stuff was just destroyed, which was standard. He salvaged the spinner miniature and the Tyrell elevator. “The policy is to not have these things out in the world. To sell for profit or used again.” Another reason is because of the FBI investigation against Roddy McDowall. A lot of the studios started to burn all the props. Lauzirika is asked if Ridley didn’t get to do anything in the final cut. He mentions that they really went all out, and even brought Joanna Cassidy back for composition work to fix her poor (as in miscast) stunt double’s hair and face. Lauzirika just thanks Blade Runner. Snyder is his production designer on his own film, Crave.